Breast cancer frequently runs in families and may be associated with an inherited genetic mutation. It is estimated that hereditary factors account for approximately 5-10% of breast cancer cases. 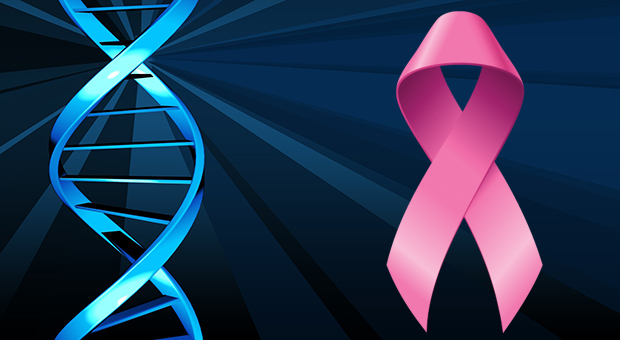 Mutations in the BRCA 1 and BRCA 2 genes are the cause of most hereditary breast cancers. A mutation in a BRCA gene can increase the risk of breast cancer up to 87% and ovarian cancer up to 44%. Certain populations are at higher risk for the BRCA mutations, including persons of Ashkenazi Jewish descent. Knowledge of a BRCA mutation can be helpful in managing future care for oneself and other family members. There are increased surveillance recommendations for positive patients, as well as options for risk-reducing drugs and surgery. Patients interested in genetic testing may submit a saliva sample at J Gershon Breast Imaging. Samples are sent to Color Genomics for evaluation and results are available in 2-3 weeks. Please feel free to contact the office for additional questions regarding testing and pricing.